Originally slated for a release last summer but was held back, "Alto's Odyssey" was designated the new February 22 release date earlier in the month, with pre-orders for the game accepted in the App Store at around the same time. Despite being marketed as launching on that date, the game has ended up being downloadable from the App Store one day earlier than anticipated. The follow-up to "Alto's Adventure" is a collaboration between Toronto-based studio Snowman and U.K. artist Harry Nesbitt, under the banner of Team Alto. As with the original, players need to help Alto slide down a mountain, though this time the snow of the original has been replaced by sand. The beautiful environments that made the previous game noteworthy have returned, elevating the game above other "endless runner" titles and giving players new views as they progress further into the game. This also includes environmental hazards, like running water and hot air balloons, which can affect Alto's progress down the mountain. A new wall-riding mechanic has been included in the sequel, with a tap and hold of the screen allowing Alto to ride a background wall. This can help players get to higher and difficult-to-reach locations that would otherwise be missed by going along lower routes. 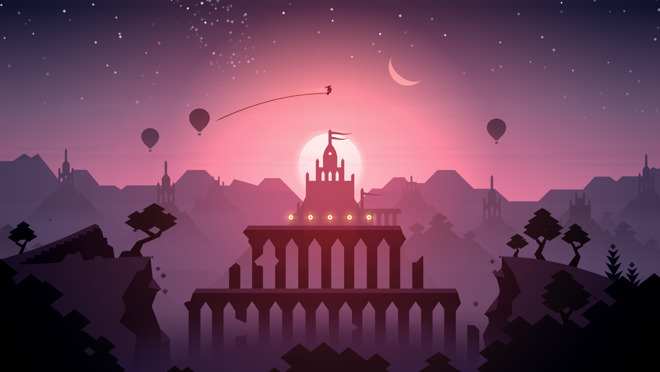 "Alto's Odyssey" is priced at $4.99, and is compatible with the iPhone 5s, iPad Air, iPad Mini 3, iPad Pro, iPod touch, and newer devices, running on iOS 10.0 or later. The game is also available to play on the Apple TV, with the download weighing in at 205.9 megabytes.